U.S. Sen. Ted Cruz, R-Texas, on Tuesday defended conservative lawmakers against what he described as critics in the White House who are not serving President Donald Trump's best interests. RICHARDSON — U.S. Sen. Ted Cruz, R-Texas, on Tuesday defended conservative lawmakers against what he described as critics in the White House who are not serving President Donald Trump's best interests. "I will say those voices in the White House that are trying to get the White House to unload on conservatives, to unload on the Freedom Caucus, are doing the bidding of the left, of Nancy Pelosi and Chuck Schumer, and profoundly damaging our prospects of success," Cruz said during a panel discussion about Trump's first 100 days in office. Cruz's remarks came as he spoke of the consequences if Republicans under Trump do not fulfill their longtime promises, including repealing and replacing Obamacare. Negotiations over a House bill to do so collapsed last month amid opposition from some moderate legislators and many in the House Freedom Caucus, a powerful group of hard-line conservatives. Asked afterward what he meant by "voices in the White House" — Trump and his allies have had a hot-and-cold relationship with the Freedom Caucus — Cruz said he was referring to "whoever is encouraging the White House to go after conservative members who are working hard to save this legislation and make sure it actually lowers health insurance premiums." "Any voices that are encouraging that are not looking after the president's interests," Cruz told The Texas Tribune. "They're settling their own partisan agendas." 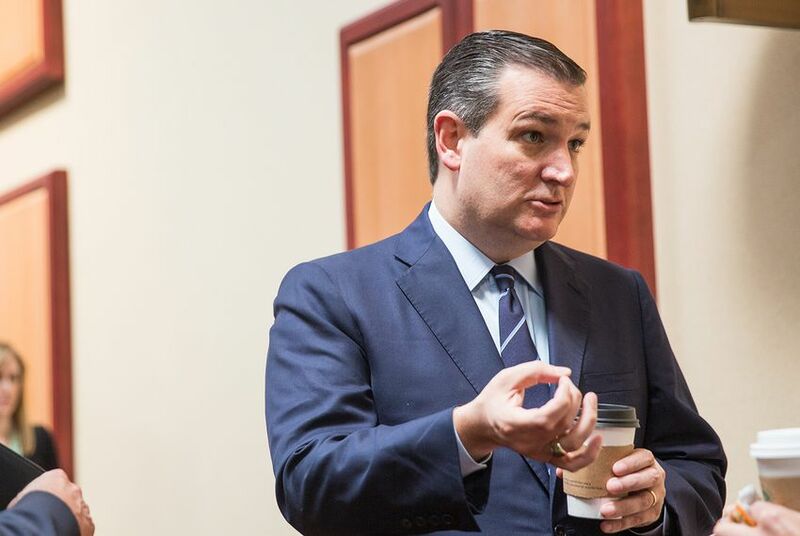 Appearing on a panel with three conservative radio hosts, Cruz spoke multiple times about the need for the GOP to make good on its promises in the Trump era. He warned of grave consequences if Republicans fail to deliver, including the prospect of a liberal firebrand taking over the White House in 2020. Asked whom they want to see challenge Trump for re-election, the panelists mostly answered in jest, with one acting out a dramatic impression of U.S. Sen. Al Franken, D-Minn. But when it was Cruz's turn to answer, he appeared to turn serious. "I think it is likely to be Elizabeth Warren," Cruz said, adding that Republicans should not be "overconfident" about Trump's re-election chances given the intensity of Democratic opposition to his agenda. "If we screw all this up, you better believe the American people could elect President Elizabeth Warren," Cruz later said. "If we deliver on all this, it doesn't matter who they nominate — we win."